Today I checked the third page of my writing prompts for the 30 days of Nanowrimo and found a few sentences about when I used to go swimming with some friends at night in a resort swimming pool. These frogs would hop up to the pool and croak, with their throats expanding like big frogthroat ballons. I took this little memory and expanded it, making it more dramatic and important, and wrote it up for today’s words. I’ll worry later about figuring out how to hook this into the main story. That won’t be too easy. But there came a time every night when the four young people would hear a telltale sound from the low bushes and tall grass that surrounded the pool and they would then silently slip into the water and gather in a group in the center. They would tread water, looking outward, touching each other, but barely. All four would feel their breath quicken as they waited and watched. Only a few at first, dark, small and moving in a jerky, irregular path, but then a whole swarm of frogs would appear and eventually move to the edge of the pool. 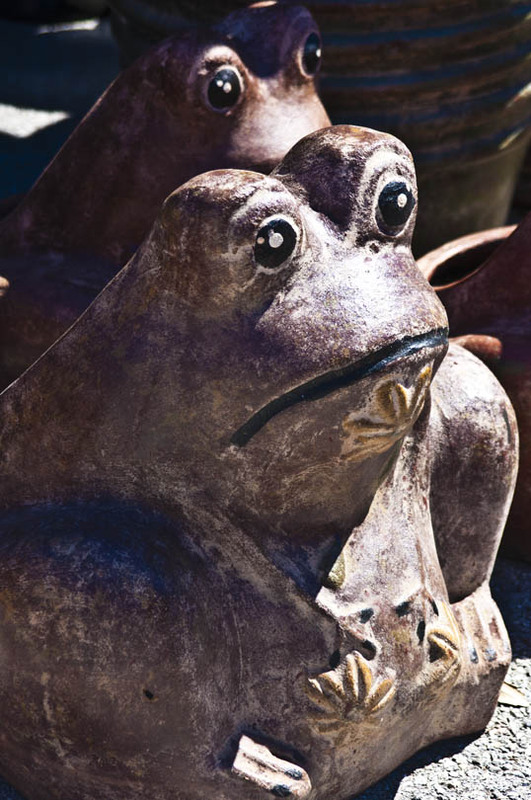 The entire concrete apron would be lined with frogs, all facing the water, all staring at the four young people treading water and looking back at them. Then the frogs would start to croak. Every one of them would swell their throat out like a living bubble until it was larger than the rest of their bodies. Then they would use that stored air, under pressure, to let loose with that unique sound, that amphibian mating call, projected out over the water. At first only a few frogs would croak but after a few minutes it would be a cacophony, a symphony of frog song, a staccato husky squawking that filled the otherwise quiet night. 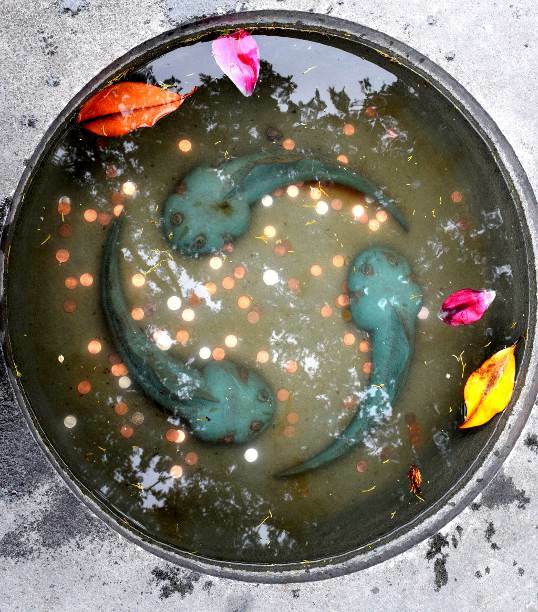 There are few things as fascinating as tadpoles in a jar. The tail slowly shrinks as the legs – back first, then front – appear and grow. Does the tadpole understand what is going on? It must be frightening… to wake up in the morning (do tadpoles sleep? do they dream wet tadpole dreams?) only to find fresh, unknown appendages growing out of their body. They have a wonderful fish-like life – their precious gills – until they turn into lungs. Do they understand how they are following the evolution of their ancestors? Do they imagine what might come next? Do they dream of growing wings? A tadpole, like everyone, must dream of flight. What a blow it must be when they realize that they are stuck with their legs, no matter how muscular and sinewy they feel and how high and graceful their leap. Even though it was over thirty years ago, I remember the first time I walked into Tango like it was yesterday. I had been living in Dallas for a couple years – living just off Lower Greenville in the Turtle Dove apartments behind the Granada Theater. Farther down the street, in Lowest Greenville, Shannon Wynne built a new nightclub. It was a huge converted bank building – and it was something else. There was the big main room with a balcony all around – a great place for live music. There was a terrible restaurant in an unbelievably loud room off the balcony. The walls were lined with televisions, all screaming nasty early 80’s rock videos. Then, down a back stairway, was my favorite spot – the Aquarium Bar. This was an elevated dance floor – sort of like a big, rectangular boxing ring, that filled all but a narrow strip around the edge of the room. All night extremely loud dance music would boom from speakers only a couple feet over your head – while the lights spun and flashed. Behind some sort of glass wall costumed dancers would sometimes perform in fish suits… I think. I think the wildest night I was there was one concert – Brave Combo opened up for Joe “KING” Carrasco and the Crowns, with Johnny Reno and the Sax Maniacs playing backup. Believe it or not – the last set was filmed (badly) and is still available on blurry Youtube. The place was fantastic, but it lost money hand over fist and closed after little more than a year. The bank building was torn down and a Taco Cabana Mexican Fast Food restaurant went up in that spot. But what most people remember Tango for was the frogs on the roof. 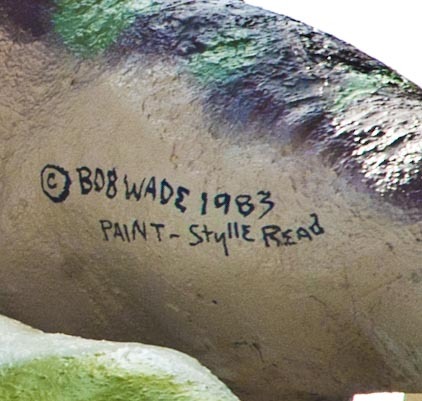 While the bank building was being renovated Bob Daddy-O Wade was commissioned to make a half-dozen giant frogs to be placed on the roof. 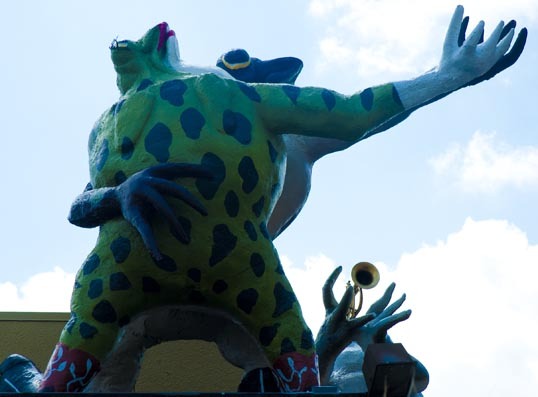 Dallas (at that time, especially) had no sense of humor and the city decided, in its infinite bureaucratic wisdom, that the frogs (two dancing, one each playing the guitar, saxophone, trumpet and maracas) were in violation of the city sign ordinance and had to come down. and after much hullabaloo they were exonerated and allowed to stay. Not long after that, the place went belly-up and the frogs were sold off. Three went to the roof of a mega-gas-station south of Dallas. I used to see them down there whenever I drove to Austin and meant to stop and get some pictures (for old times’ sake) but never pulled it off. The other three (guitar, sax, and maracas) went to Chuy’s Mexican restaurant in Austin – then on to the Chuy’s in Nashville, where they still are. 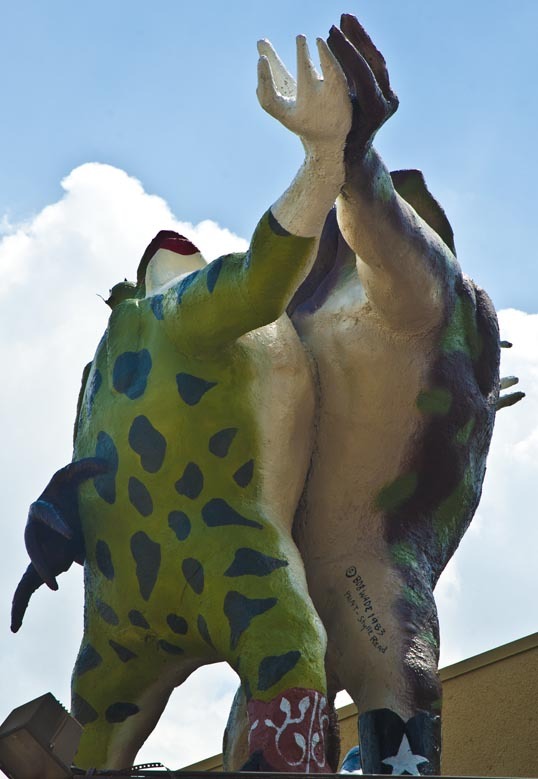 Googlemaps Street View of Nashville – there are the frogs! 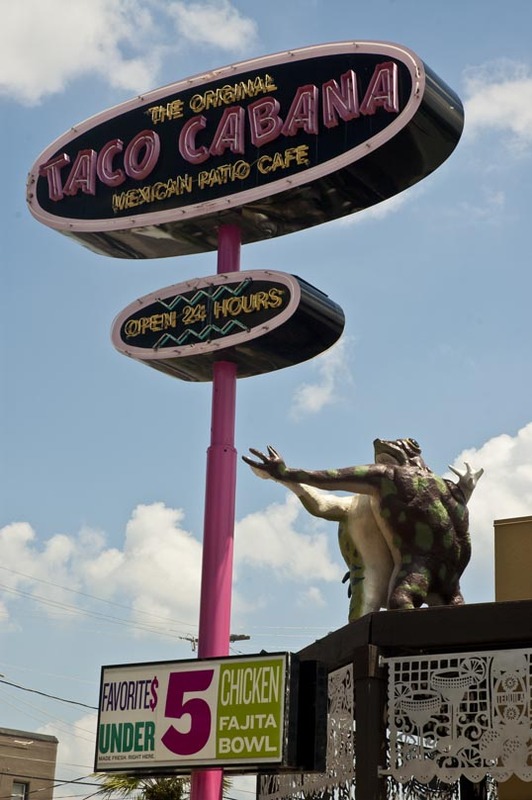 So now, after all these years, I read in the paper that the three frogs (the dancing pair and the trumpet player) have returned to town and have been placed on top of the Taco Cabana at the same spot were Tango used to sit. They even seemed to get permission from the city first. I had to see this. I rode my bike down to the DART station – took the train to the underground CityPlace station and rode the extreme escalators up to the surface. It was a short bike ride on to Lower Greenville where, as clear as could be, were the three frogs up on the roof. 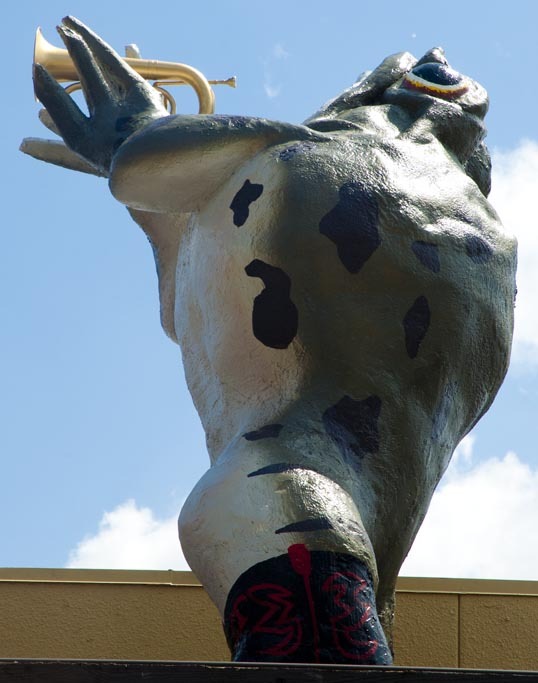 They had hired a talented local mural painter, Stylle Read, to repaint the frogs and bring them back to their state of glory, then mounted them up on the roof. A lot of people were stopping and taking pictures of the frogs. Talking to them, I was the only person old enough to have actually been in Tango when it was open (most had never seen or heard of the frogs, a few had seen them at the gas station). It’s sort of a silly thing, but I feel good that they have come home. Dancing Frogs and a 5 Dollar Chicken Fajita Bowl.